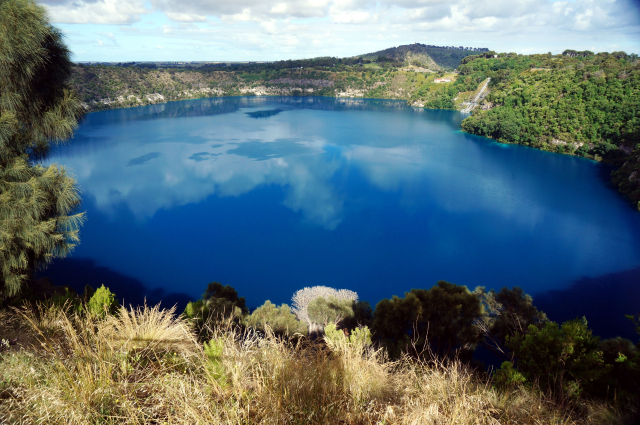 The Blue Lake is Mount Gambier’s biggest draw. A flooded ancient volcanic caldera, it is 1,600 feet across and 300 feet deep. It is blue during the summer months for the same reasons as Crater Lake in Oregon. But in the winter it changes to a steel blue due to organic matter that enters its waters (Crater Lake never receives any real organic load so is always blue).